Pilates at our wellness center and gym focuses on working a number of muscle groups at once in smooth, continuous movements, creating a sense of length and strength. Since workouts are individually tailored, they may be gentle enough for a mature adult with back pain or challenging enough for an elite athlete. Private lessons are encouraged for anyone new to Pilates prior to joining a group class. Lynn turned to Pilates in 1999 for relief from lower back pain. 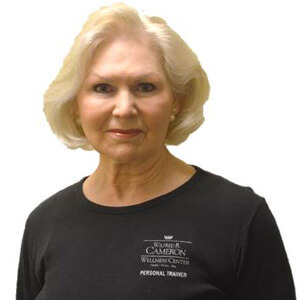 Not only did she permanently eliminate her pain, she felt so much stronger and more energized that she soon began training to become an instructor through PHI Pilates. She has now taught all levels of Pilates for the last 16 years, including personal training, and is studying for a certification through the Pilates Method Alliance (PMA). Lynn also has participated in several PHI produced instructional DVDs. Jackson graduated from West Virginia University with a Master’s Degree in Exercise Science. (Let’s goooo Mountaineers!) 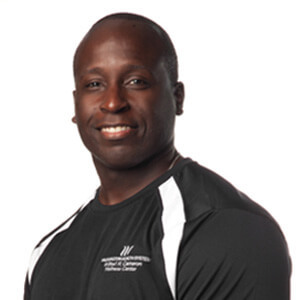 He has been a trainer since 2006 and is a Certified Exercise Physiologist (EP) through the American College of Sports Medicine (ACSM) and an EXOS-certified Performance Specialist (XPS). Jackson recently added a Pilates Reformer certification to expand his personal training abilities. Jackson feels that proper squats (his favorite exercise) are essential for everyone whether it be for sports, work or daily activities. One of his many specialties is training high school athletes. He has had clients go on to play football in Division I-AA, and Division I baseball. Jackson believes that everyone has a little athlete inside, regardless of their age or ability, because being an athlete is more mental than anything. Jackson himself has trained for semi-pro football, sprint triathlons, half marathons, and two body building competitions. He always has an end goal in mind when he is working out, and that is how he trains and motivates members here at the center. He is committed to seeing people reach their fitness goals. Marissa obtained her undergraduate degree from California University of Pennsylvania, where she was introduced to Pilates and Indoor Cycling to keep her healthy and active. Loving how Pilates challenged her mind and body, she was inspired and took a more involved approach, gaining Basic & Advanced certifications in Mat and Reformer Pilates through IM=X Pilates. For the past 8 years, Marissa has dedicated herself as a full time fitness instructor and business owner. 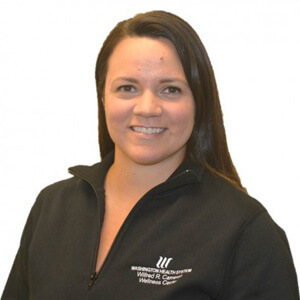 Through the years, Marissa has expanded her fitness knowledge and certifications to include NAFC Group Fitness, Pilates Tower, Chair, Barre, and Keiser Cycling. Marissa is a passionate instructor who fuels her competitive spirit by helping others challenge themselves and break through their personal fitness goals. *3 month minimum commitment. See instructor for details. Classes require prior registration at the front desk or Click Here. 24 hour cancellation is required. Participants cancelling less than 24 hours prior to class will be charged.